Hello friends, I hope you all had a nice weekend. Today I'd like to share with you all the wonderful makeup I received for Mother's Day. Look I have more makeup that came in another box from Clinique. And a wonderful handmade card from my daughter! I love everything I received for Mother's Day and it was all picked out by my daughter. 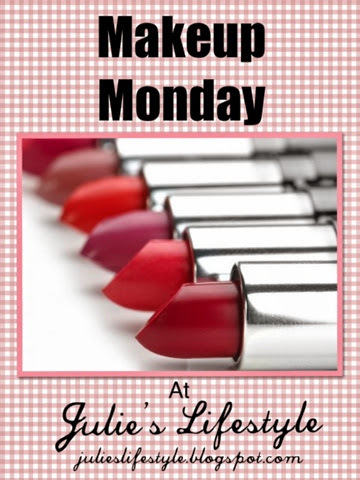 Thanks so much for stopping by and see you all next week for Makeup Monday. In case you missed any posts you can click here. You did receive some great makeup---I love makeup...it's so fun. I used to work at Nordstrom cosmetics for over 6 years as the asst. 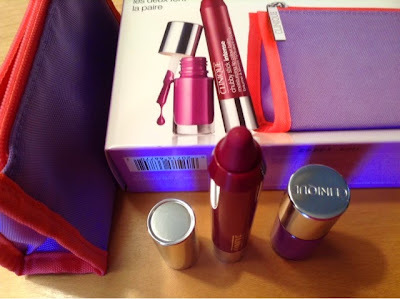 cosmetic manager (it spoiled me for high end makeup:) Clinique is always a good choice but gift boxes---even better:) Have a great week Julie. You were well and truly spoilt Julie! Such sweet gifts you are really lucky. One of my first jobs was working on the make up counter for Estee Lauder and can remember swapping hints and tips with the Clinique counter. Happy days!! I love getting make up as a gift and you received so much fun stuff! I bet you look gorgeous in your new pretties! Bikini So Teeny is a big hit over here as well! Enjoy it! I have the Essie "bikini so teeny" nail polish too! I just bought it so haven't tried it but I love the colour. Have you tried it yet? You were certainly spoiled on Mother's Day. Your daughter has excellent taste too...she did a great job. Beautiful.... How sweet to get such lovely card from a daughter! Have a great week!! Julie, you received some excellent beauty products. Love your card!!! What lovely items from your sweet daughter - I have always liked Clinique :) And your card from your daughter is simply precious! Hugs to you! Handmade cards are the best! I like the Olive in my Martini shade, and I love the name of it too! I love homemade cards and makeup. This is a perfect gift. Thanks tons for linking to Inspire Me. how much fun! I love a gift of makeup! 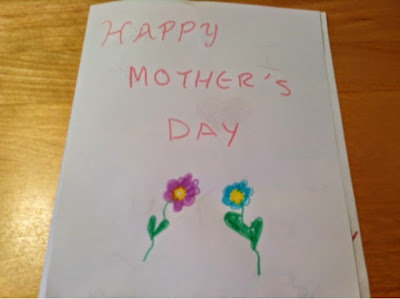 and what a sweet card from your daughter. Enjoy them, Julie! The card is adorable! 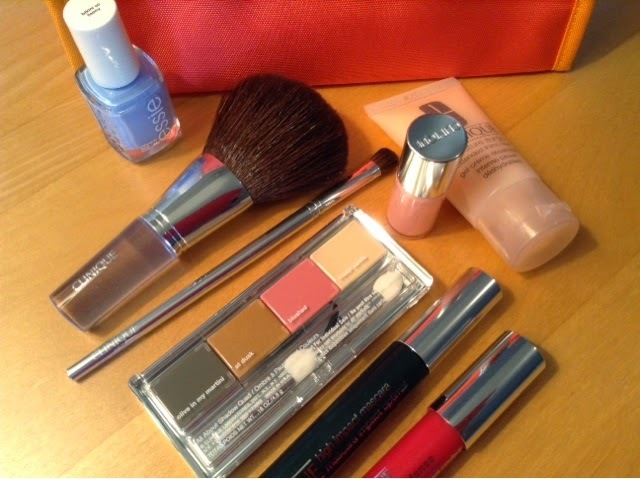 I love make-up, can never have enough! Thanks for sharing. Thank you for dropping by sweet Julie! Wow - lots of nice gifts! I love ESSIE nail polish - they have the most fun colors. You deserved such nice gifts.. Thanks for sharing with 4 seasons blog hop. Cheers and have a nice day.